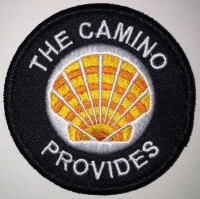 Geraldine walked the Camino Francés in 2013, and is currently recapping the experience on her blog. “The Joy of Walking Alone” caught my attention because I plan to walk alone—to the bewilderment of my family and friends. Ger honestly discusses the initial fear she had, and the inevitable solace and camaraderie that the Camino provided. She relished it. Hi Laurie. Thanks for sending. In fact, walking alone is the best way to do the Camino, in my view. That’s what I did both times. It gives one the opportunity for thought, and contemplation. That said, “Camino families” do form and walk in tandem. You likely will experience that, as I did.